Audiobooks have huge benefits for people who have difficulty reading books in the usual way, offering the joy of reading and the relaxation and comfort of getting lost in a great story. If you or a loved one has a passion for books, or is looking for an enjoyable activity, but struggles to read in the usual way, audiobooks are a great alternative! 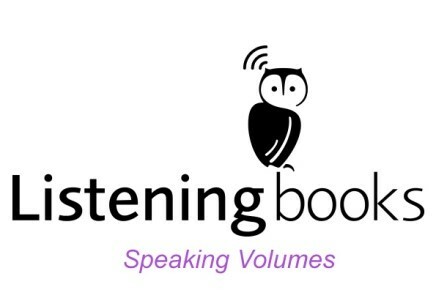 The national charity Listening Books runs an audiobook library service for adults and children who find it difficult to read or hold a book due to an illness, disability, mental health issue or learning difficulty such as dyslexia, giving members access to thousands of audiobooks on MP3 CD, as downloads from the website and through online streaming, which can be accessed on PCs, Macs, smart phones, tablets and many personal players. The library boasts fiction, non-fiction and educational titles in popular genres, including autobiography, crime, romance, science fiction and travel from best-selling authors such as JK Rowling, Philippa Gregory, Marian Keyes, Jacqueline Wilson and James Patterson. Listening Books is currently able to offer a number of FREE memberships to people living in Merseyside who would find the usual membership fees a barrier to joining. Membership fees range from £20 to £45 per year but the charity also regularly applies for funding to provide FREE membership places for those who would find it difficult to pay this fee. You can also apply online by visiting https://www.listening-books.org.uk/join-us.aspx and ticking the box to apply for a free place.